I’ve tasted enough whisky now to be relatively jaded when trying new bottles. “Mild sherry influence,” I think, or “mediocre ex-bourbon,” or “run-of-the-mill high-rye bourbon.” I relegate new bottles to a handful of Old Curmudgeon categories like “OK for cocktails, I guess” and “Could buy it if they’re out of Rittenhouse” or “Slightly better than other sub-$30 blends” or “Pretty good, but way overpriced.” You laugh because it’s true. I’m the “Scotch Snob” now, apparently, and it shows. 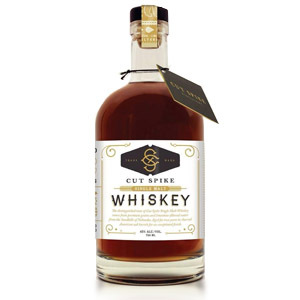 Imagine my surprise, then, when I tasted Cut Spike, a single-malt whiskey from – of all places – Nebraska. Yes, you read that correctly, it’s a bottle of fine two year-old Nebraska Single Malt. I can hear the snorts of derision from here. You can quit laughing. This whisky opened my eyes in a way that hasn’t happened since I-don’t-know-when. It’s amazing. We whisky bloggers try to avoid the word ‘smooth’. It’s the kind of thing that frat guys say to impress each other while choking down shots of Jack Daniels. “Smooth” implies that the alcohol isn’t prominent, which can be achieved with any spirit by adding water to lower its ABV. I struggle, then, to find a word to describe Cut Spike. Silky? Round? Screw it. This stuff is SMOOTH in a way that no vodka or blended scotch could ever be. It rolls around your tongue, soft and intensely flavored without so much as a hint of burning. The fact that Cut Spike is only two years of age is astounding – in a blind test I would have said 12 at least, but more likely 18. This can be attributed, in part, to the use of charred new oak barrels (a la bourbon), which is a rare to nonexistent practice with whisky made from malted barley. Cut Spike is a micro-distillery in La Vista Nebraska. They use mostly domestic barley malt and do a 5-day ferment with brewer’s yeast and limestone-rich Nebraska water. The wash is distilled in a pair of copper pot stills (300 and 500 gallons) with a small heart cut. The wood is all new charred American oak, but they use several different char levels to coax different effects from the wood. The whiskey is an odd, ruddy brownish tinge. Dark, like a bourbon, but without the sparkling topaz color. According to Cut Spike, they do not add any coloring agents to the whiskey. They also do not chill-filter. My bottle is from Batch 001, bottled 8/1/2013. Bottled after two years in oak at 43% ABV. 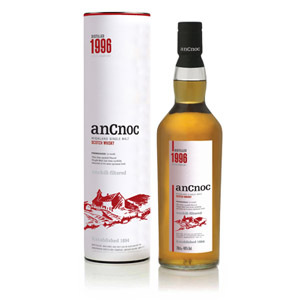 Nose: Intensely sweet butterscotch and toffee. If a nose can do a double-take, mine just did. This doesn’t smell like 2 year-old paint thinner in wood, this smells like deeply mature malt whisky with a lot of oak influence. Vanilla fudge, white chocolate, and “blondie” brownies. Deeper in, there’s a faint sappy green wood, like freshly-snapped saplings. Sweet and flawless. Wow. Palate: Soft and supple. Maple sugar candies! A reprise of the aroma, but with endless waves of bakery treats, caramels, vanilla, and a whallop of oak tannin. Is it malt whisky? Is it bourbon? Somehow, it’s the best of both. No tongue burn to speak of. Finish: Medium/Short. The sweet notes drop away quickly, leaving a little drying tannin and some faint herbal flavors, like mint or menthol. No bitterness. With Water: At 43% ABV, this is hardly crying out for water. A few drops seem to (oddly) dampen the sweetness and add only a hint of charcoal. On the tongue, the water seems to draw up tannins and even a little bitterness. I don’t see any need for water here. Overall: Unreal. Who knew that if you took Nebraska water, malted barley, and new charred American oak, you could make magic? And in only two years! I was hooked at first sip, and now halfway through the bottle I can’t believe I ever lived without it. Cut Spike has exactly the right amount of wood character – aging this any longer under the same conditions could make for an overly woody, muddied mess. 43% ABV seems perfect for mouthfeel, body, intensity of flavor, and lack of burn. It has less harsh, acrid notes than most bourbons, and more flavor than most malt whiskies aged in reused wood. There is no hint of acetone or vodka-like flavors despite the young age. 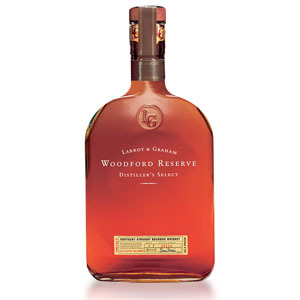 It is, perhaps, a little on the sweet side for those who prefer drier spirits, and the finish seems a little lightweight. Those are nitpicks, though. This is easily the best American spirit I’ve had short of Pappy 15 (which is a wholly, entirely different whiskey), and among the best malt whiskies I’ve had. Considering that the malt whisky category encompasses all of single-malt scotch, that’s saying something. I apologize in advance if I misunderstood, but are you saying that aging scotch in new oak barrels is illegal? As far as I know, the SWA only regulates the size of the barrels, not the type (they just have to be oak). I’m not sure what char level they used, but Glenmorangie Ealanta was aged in virgin oak barrels, as are Bunnahabhain Darach Ur and Deanston Virgin Oak. I think a lot of distilleries actually have them lying around, especially now that used barrels are getting expensive. Again, my apologies if I misunderstood your point. Thanks for catching that! I was conflating bourbon regulations with scotch ones. I’ve updated the article. Cheers! No problem! I will say that most 2 year old bourbon and rye is not that great, so maybe malted barley is where its at when it comes to younger spirits. Any indication as to the barrel size Cut Spike is using? I guess I could try to not be lazy and google it. 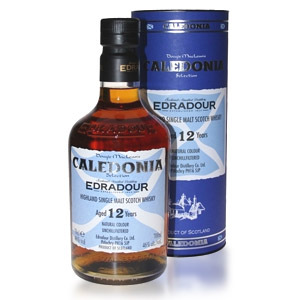 Good review and very interesting sounding whisky. You mentioned the color seemed a bit strange. Given that it’s only two years old, do you think its a result of added color? I know you can’t add coloring to anything labelled “bourbon”, but since this is technically malted whisky I suppose the same restrictions don’t apply. Hi Jim. When I wrote the review I scoured the Internet to find out about added coloring in Cut Spike and came up empty. I’ve sent a few emails and I’ll update the post if I ever get a response! It’s very true that there are no labeling restrictions that would prevent Cut Spike from adding caramel color to their whisky. That said, I doubt it for two reasons. First, I’ve seen what caramel color does in terms of color (in scotch, both malts and blends), and this is nowhere near that color – if they’d used E150a I believe the color would be more uniform with other malts. Secondly, this is single malt in new wood, and new wood adds a LOT of color, and quickly. Scotch most often “needs” colorant because refill oak doesn’t lend much color to whisky, whereas bourbons can get super dark in only a few years. Perhaps the ruddy/matte color that I noticed is due to the combination of barley malt and new oak, which is a bit of a rarity, as opposed to the more familiar corn and new oak. Cheers! I got a reply from Jason Payne, founder of Cut Spike. He says they do not add any coloring agents to Cut Spike, and they also don’t chill-filter. The color, he says, comes from the charred new oak. I updated the review. Cheers! Hi John, you could also try emailing the distillery for a list of local retailers ([email protected]). Cheers! our spirits are not yet in Oklahoma. Currently we only distribute to Nebraska and Kansas City area. Hopefully in the future we will expand further out. As a resident of Omaha (La Vista is a suburb) I was excited to read such a glowing review of Cut Spike. I have been reading your blog for a few years and respect your opinion. I liked my first sip of Cut Spike (I also have batch 001 but batch 002 is out now). I figured that I was giving it the home field advantage so I’m glad to here an unbiased positive opinion. Cut Spike started with the goal of distilling this whiskey and made beer to pass the time. The beer, Lucky Bucket, has taken off regionally and they are making a ton of it. Now that the whiskey is thriving and they also make vodka and rum, they should be around for many years to come. Many thanks for reviewing such a wide range of whiskeys! I recently finished a bottle of Batch 002. Of the various US Single Malts I tried (Balcones, Stranahan’s, Colkegan, Whiskey del Bac), this was my least favorite. It has too strong a wood influence for my taste. Don’t get me wrong, I still finished the bottle and was glad I tried it, but I wasn’t particularly fond of this specific batch. YO!!! I live about 5 minutes from the Lucky Bucket Brewery which is the home to Cutspike Distillery. I am addicted to this whiskey and last year had to endure a 4 month drought between batch 1 and batch 2. This is a great sipping whiskey and since you mentioned it does not need water, i highly recommend whiskey stones to cool it down without assaulting it with H20. Your review is amazing and I’d encourage you to try their vodka and rum as well. Smoothest spiced rum i’ve ever tasted. Also look into trying my favorite beer Certified Evil. It is super dark with a hint of coffee and chocolate tones without overpowering the overall taste. Not to mention it is 9 or 10% alcohol! Cheers! Opened a bottle from batch No. 3 yesterday. Truly one of the worst whiskeys I have ever tasted. Not smooth at all, harsh alcohol taste, very green wood. Hey Carl, Sorry to hear about that! I only have a bottle of batch 002 here, not 3, so I can’t compare them. I’ll be sure to post here if I get a chance to try batch 3. Maybe you got a bad bottle. Did you review batch 1 or batch 2? The review mentions batch 1 but now you have mentioned batch 2 here. I sought this out based on your review and after a bit of work got my hands on batch 2. If you reviewed batch 2, I respectfully disagree with your notes. Perhaps you could revisit this and do a review of a newer batch. Hi Advocate, I reviewed batch 1 above. I own a bottle of batch 2, but have not formally reviewed it. I’ll try to do that as soon as my cold goes away. A buddy of mine brought me a bottle and I was amazed how good it is. We almost drank the whole bottle in one setting. I’m guessing I have a later batch in a newer bottle and label. I had heard that it was good but discounted it. It was on sale at our Local Hi-Vee in Lincoln Nebraska for $39 so I bought a bottle on a whim. Glad that I did! Tastes like no other whiskey. Thought that it was smooth and very fruity – in fact we were wondering if there was some kind of additive. So now I will got and buy up a few of the bottles. Really worth my time. ScotchNoob almost always is right on with his opinions and reviews.